There are many things to see and do when visiting Battle, East Sussex, which means you are going to want to spend at least a few days here. This also means you are going to want to book your accommodations so you have a wonderful place to stay and rest when you are not out sightseeing. There are different types of lodgings to choose from that include Lodges, B&Bs and Hotels. If you are looking to add some rest and relaxation to your trip to Battle then staying out in the countryside would be the perfect choice. There are small lodges like the White Hart Lodge that accommodate a small number of people at one time. If you happen to be taking the family pet along with you to visit here in Battle, then this type of lodge will welcome him or her. Then within 20 minute walking distance of Battle is the Loose Farm Lodge. Again this possesses a wonderful atmosphere to rest up, and the walk into Battle is an enjoyable one. For an atmosphere that is a little different and will certainly create extra memories of your time here then a stay at the Old Courthouse B&B should be your choice. 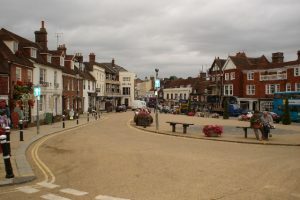 It is located in Hurst Green and it is close to Kent’s Garden of England. There are several hotels to enjoy in the Battle area. Some are many years old and add to the history and ambience of Battle East Sussex, and you will enjoy hearing about them. These are just a few examples of the various types of accommodation that will await the tourist for this area. Which you decide on will be based on your preference and although they vary in price they are all considered to be reasonable.